Gymnema is a rainforest plant native to India also known as "Destroyer of Sugar," a reference to its historical use in traditional Indian and Chinese preparations to manage insulin levels. The powdered leaf is encapsulated or made into a tea or infusion. Consult a physician before using gymnema if you have diabetes or take hypoglycemic medications. active compounds Gymnemic acid, Glucose, Paraben. 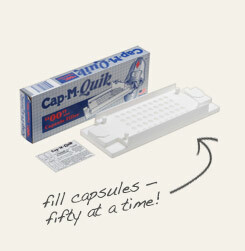 storage tips Store in a container with a tight-fitting lid away from light, heat and humidity. 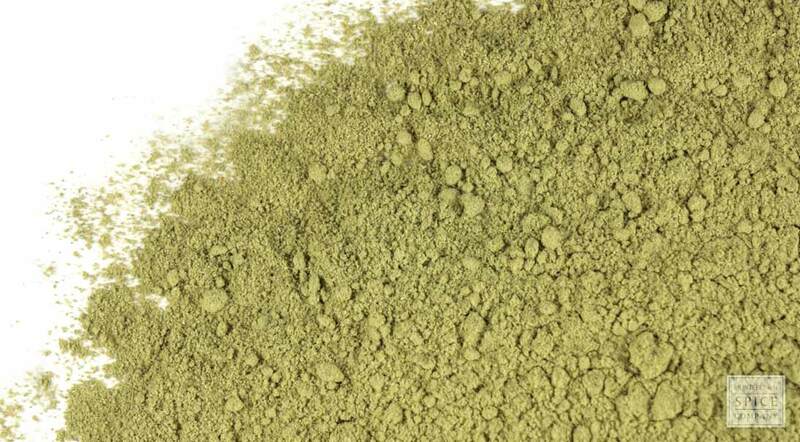 appearance & aroma Greenish powder, with no detectable aroma. culinary Gymnema powder is typically encapsulated as a dietary supplement. safety Do not use during pregnancy or while nursing. Consult with your health care practitioner before using this herb if you have diabetes. Fill up to 50 capsules with 500mg of powdered gymnema each at the same time. 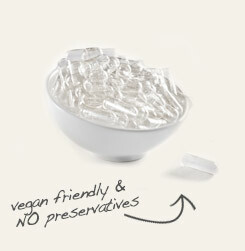 Make your capsules free of animal products, preservative and gluten with plant-based Vegicaps. Aside from altering the taste perception of other foods, gymnema is not particularly palatable itself. Gymnema, also known as Gur-mar, Merasingi, Australian Cowplant and Periploca of the Woods, is a vine-like, tropical plant that is originally native to India and now also distributed throughout Australia, Vietnam and Japan. In its homeland, the plant has played a significant role in traditional Ayurveda for centuries. Background: Gymnema has been used since the 1920's. There's some evidence that gymnema also helps to curb sugar cravings. It also makes it difficult to taste sweetness after one chews the leaves. This makes it desirable for people who are looking to lower their sugar intake. It is thought that gymnema works so well because gymnema molecules very closely resemble sugar molecules. They may help to block some of the receptors that sugar would normally bind to. Description: Gymnema is a tall, woody plant that is native to India. It typically grows in rain forest regions of the country. Safety: It's important to monitor blood sugar while taking gymnema. Gymnema should not be taken as a substitute for prescription drugs for diabetes. Pregnant and nursing women should not take gymnema unless supervised by a physician. Consult your health care provider before beginning use of any herb.